The percentage of those on social media who use Snapchat is low (18 percent), but the ephemeral network’s audience is one of the most active. Of the close to 100 million daily active users, 65 percent of them contribute content (photos or videos). In comparison, 44 percent of Twitter accounts have never sent a tweet. Snapchat is an engagement powerhouse and its younger audience, primarily 13-24 according to Snapchat data. The App is starting to get some company from older users with the 35-plus age group being the fastest-growing demographic to join the network. These Brands are already finding ways to not only reach a very large, very active audience, but also monetize their time spent there. With nearly two decades of experience on social networks at this point, brands should know there are two truths to social media. (2) teens and young adults will eventually leave the platform for a network their parents have yet to hear of. While there is plenty of time before the latter becomes true. Snapchat has already made moves to become a serious contender in social marketing. Most recently, Snapchat added two new senior measurement executives (from Google and Millward Brown) to help the company prove its value to marketers. With moves like these, Snapchat is becoming a place where enterprises will want to consider investing their resources (time and money). But what does the future hold for the network beyond an eventual teen exodus and an advertising-fueled app? Snapchat turned down Facebook’s $3 billion cash offer in 2013. The network will likely have to entertain many of Facebook’s business practices in the near future, including an algorithm to sort stories (a compilation of Snaps a friend has posted) based on relevancy, timeliness and, of course, advertisements. Some reports say that consumers’ attention spans are now shorter than a goldfish’s. How people access information will be very much influenced by the quick hits that Snapchat provides. Long-form content will always have its place but Snapchat is training audiences to expect information in seconds. The demographic most likely to be on Snapchat is also the demographic most likely to install an ad blocker. While it may not be long-lasting, Snapchat ads (vertical, full-screen and made for mobile) can reach this group in successful ways. 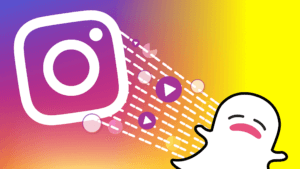 For instance, Snapchat reports that video ads hosted on the network offer nine times higher completion rates than horizontal ones hosted by its competitors. Younger audiences expect near real-time responses to customer service inquires made on social networks like Twitter and Facebook. Add in the fleetness of Snapchat, and brands may have a real problem on their hands. This means an upset customer may respond negatively to a company’s outgoing message. It will be difficult for brands to capture the consumer’s details to follow up in a professional manner. Brands can, of course, respond back to the chat. But integrating this information into a help desk or a customer relationship management solution to get a 360-degree view of the customer will be difficult. Clearly Snapchat will need to respond with more business related tools and integrations. Snapchat Brand Predictions – Advocates Will Be Identified. Snapchat already provides a way for users to see who their “best friends” are and identify other relationship characteristics with the network-provided friend emojis. So Snapchat could very well use this technology to help brands identify advocates who can be leveraged for user-generated content. Brands are trying their hand – especially on Twitter – at capitalizing on real-time marketing like award shows and sporting events. Snapchat will force brands to get in on the action so as consumers will leverage two screens to participate in events. Brand managers can’t manage outgoing and incoming Snapchat messages from one central location (e.g., Sprout Social, Buffer, Hootsuite). Part of the appeal for consumers to follow brands on Snapchat is to get a real inside look at operations. Not the staged ones that the other networks offer. Enterprises that are concerned about this level of transparency need to stay off the network. Users will not respond to unauthentic stories. An exception is Taco Bell, as they used prepared material. Transparent Brands, benefit from the level of engagement it can receive when consumers feel as if they “know” a company. Often making celebrities out of companies and its employees. It is important that key stakeholders participate in stories (especially in the business-to-business world) to offer transparency and interest. Already a dominant force in social media, and its business appeal is quickly following suit. Brands must remember that Snapchat engagement is fueled more than any of the other networks. Also by authenticity so while it will be important to set brand standards and guidelines for the channel. Companies not willing to provide that level of transparency need not apply. Instagram Growth Hacks →← Is Buying Instagram Followers Legal?